As I was going through some of the old school work I have done, I discovered this quotation. It is from an old photography project that I've done in Nanyang Academy of Fine Arts. As I read this quotation again after so many years, I read it with a smile, a deep smile. Since I met Boon, it slowly dawn upon me that we have many similarities. From family values, open-mindedness and even our love languages. 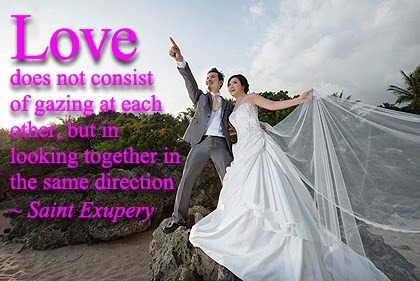 It is like God confirming to us why we are meant to be together! Thank God my honeybunny and I shares the same values. It certainly builds the foundation of our relationship, help us to love each other more easily and simplify our life choices. Today is a very special day as it is my wedding solemnization with this terrific, witty and bright guy who could make me smile always. My hubby chose this date 9.9.13 as it sounds like 久久一生; symbolizing our love as long lasting in our life time. 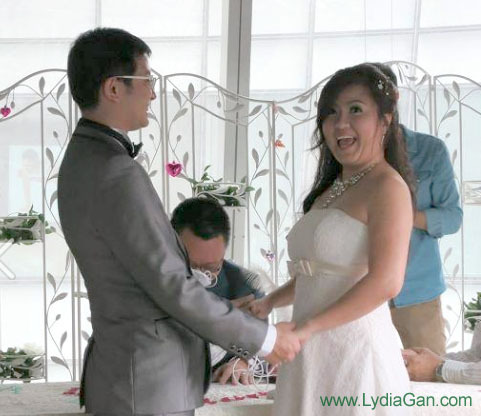 Here are the 2 Christian songs we selected to sing during our wedding solemnization. They are melodic, light and easy to sing. Romantic Song sang by Adeline Gan & Bob Fitts. A cheerful song that young and old could connect with. Hope these 2 soothing love songs will edify your day!